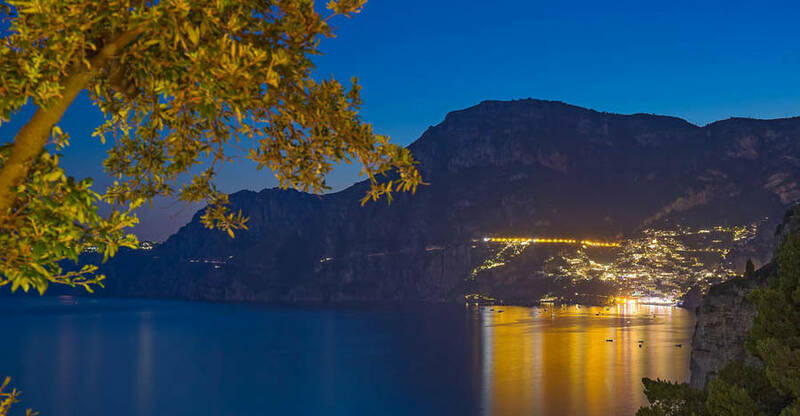 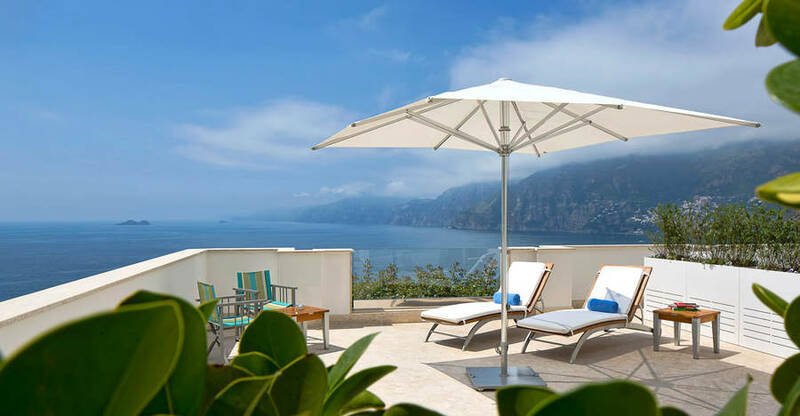 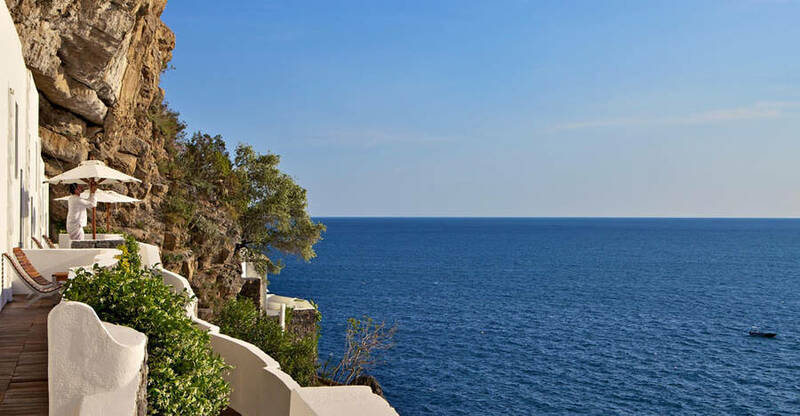 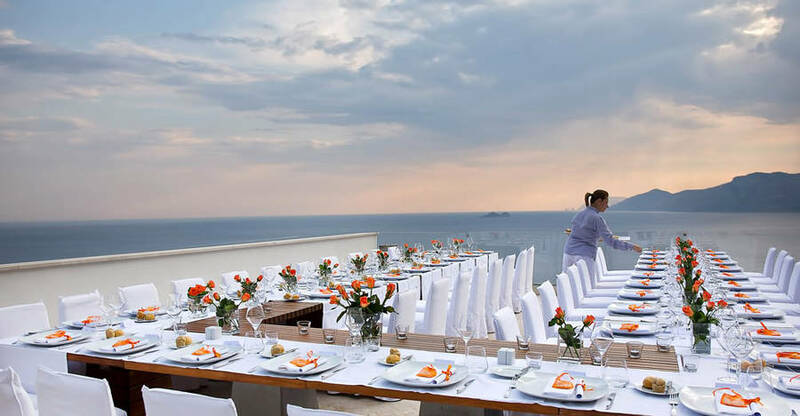 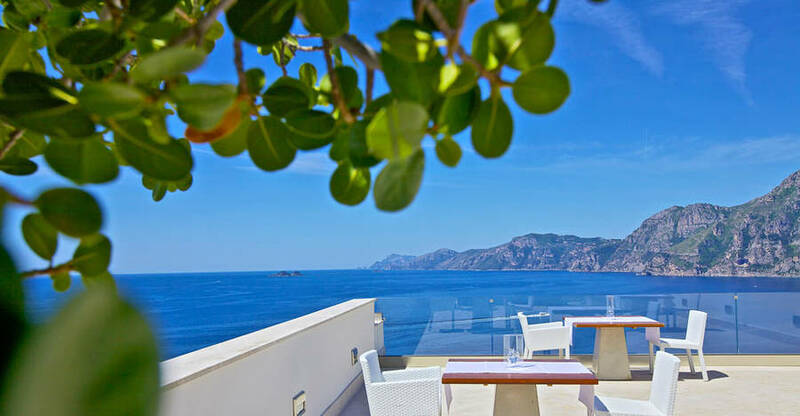 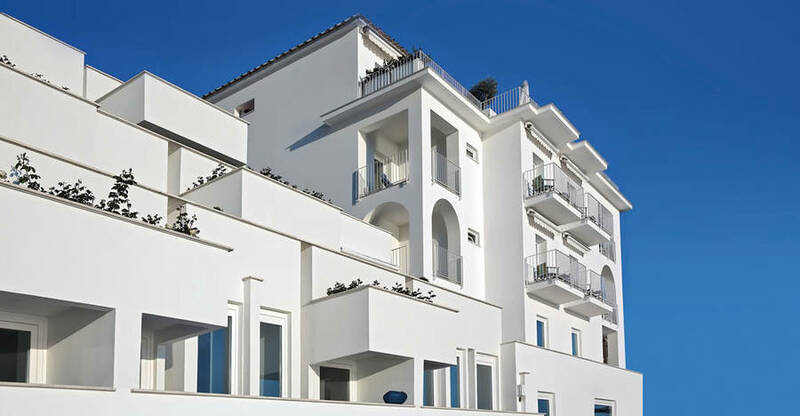 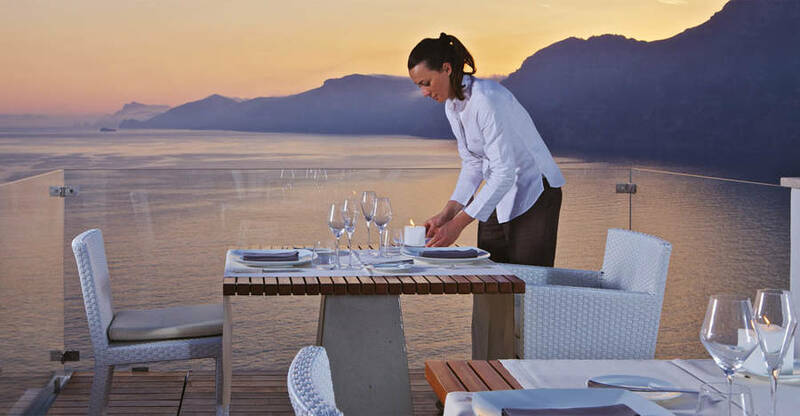 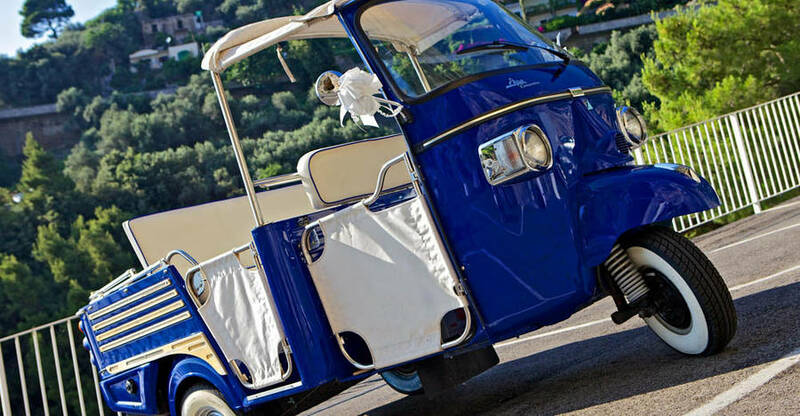 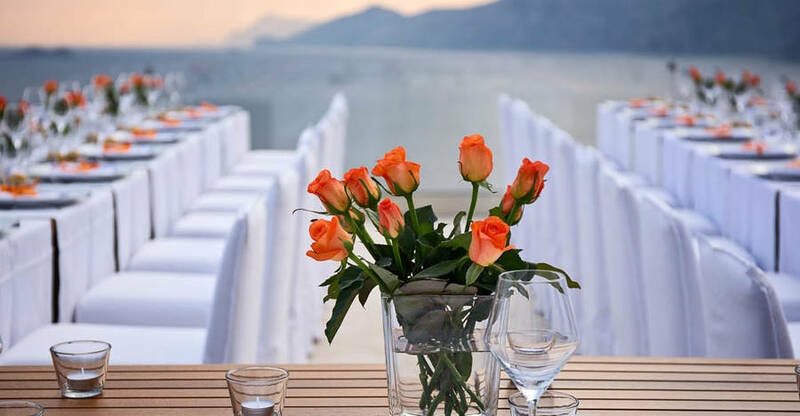 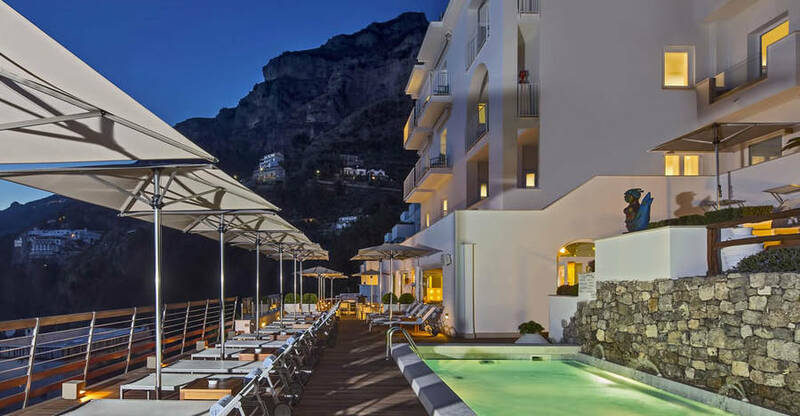 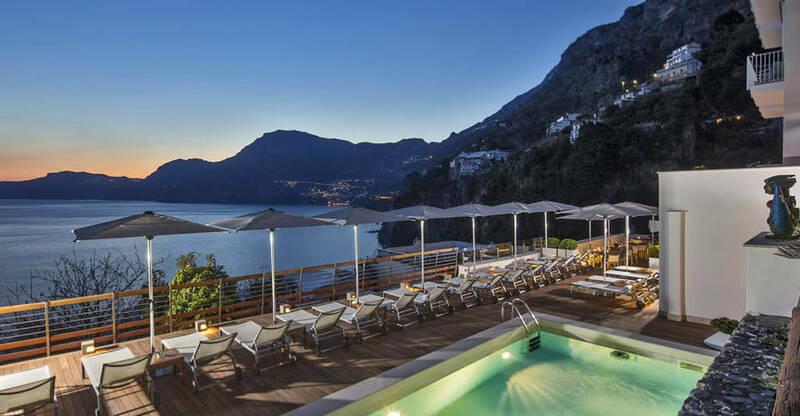 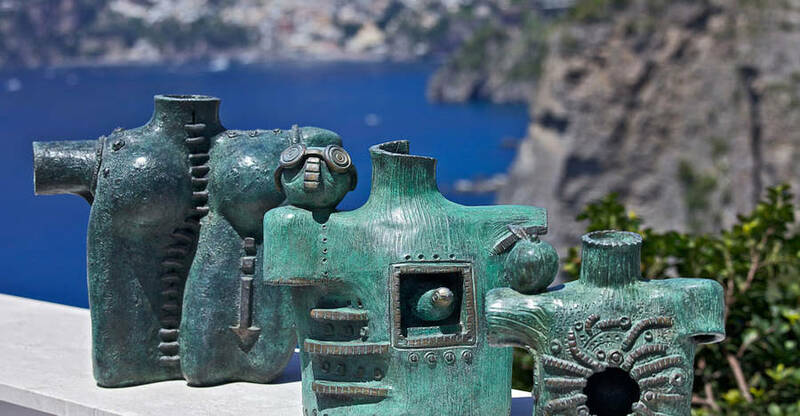 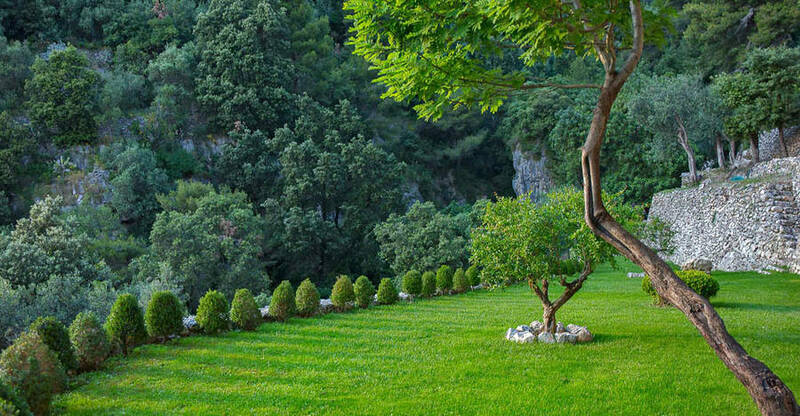 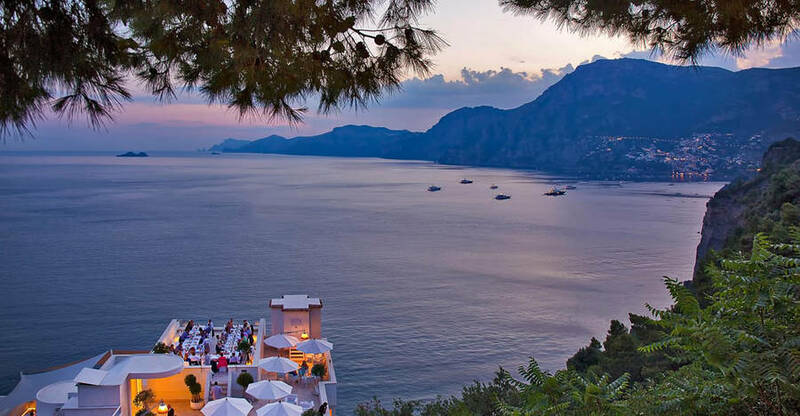 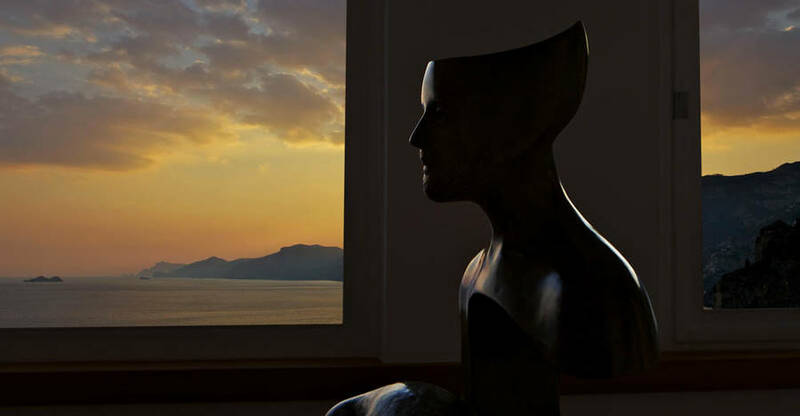 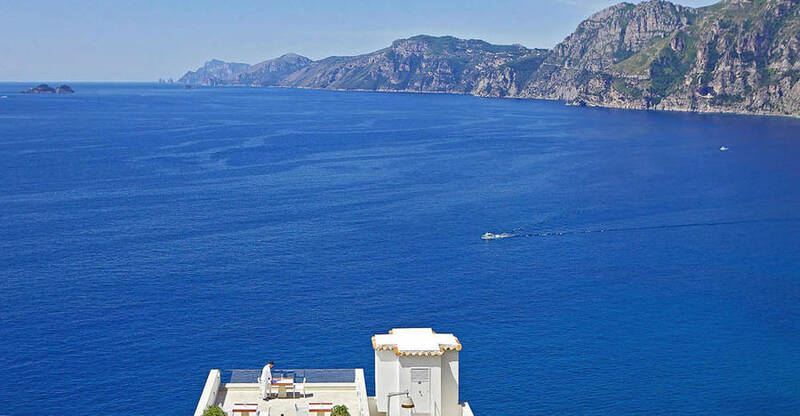 A luxury boutique hotel in the heart of the Amalfi Coast, the 5 star Casa Angelina is beautifully located on the cliff edge, almost directly above the sea surrounding Praiano, halfway between Amalfi and Positano. 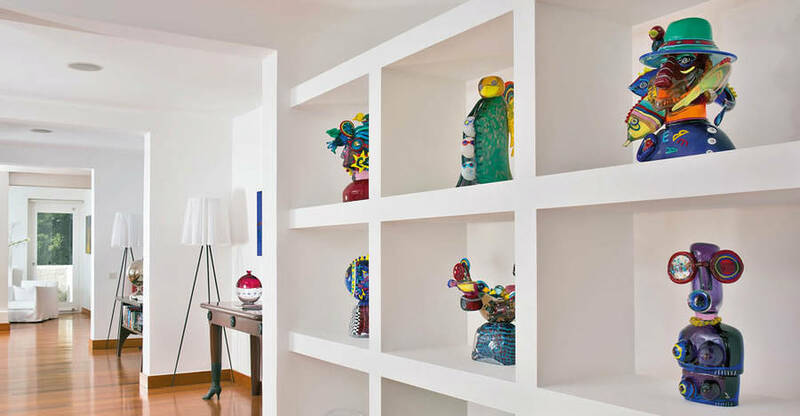 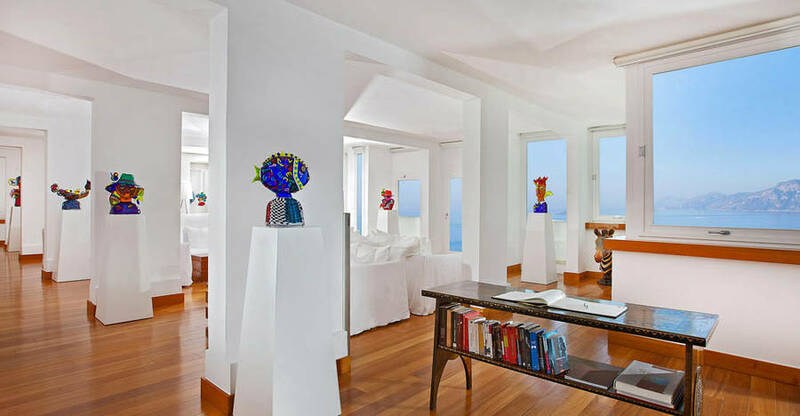 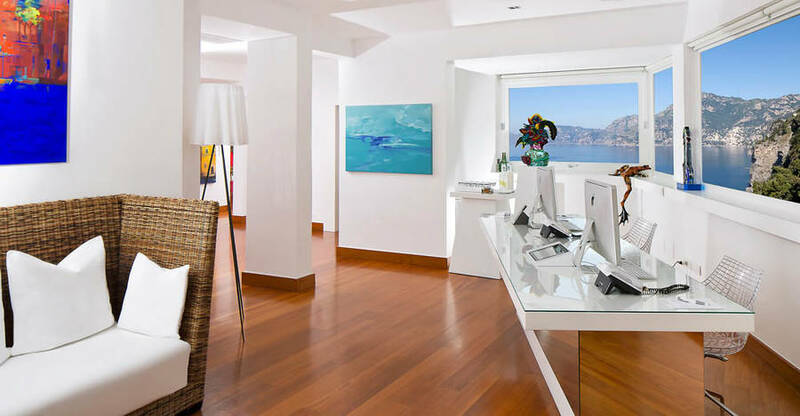 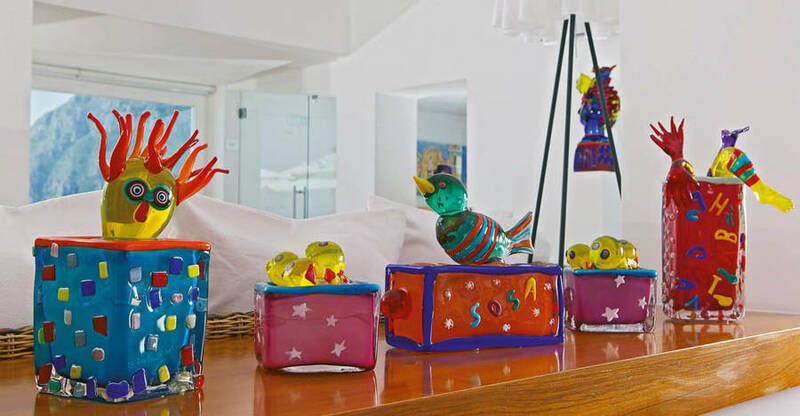 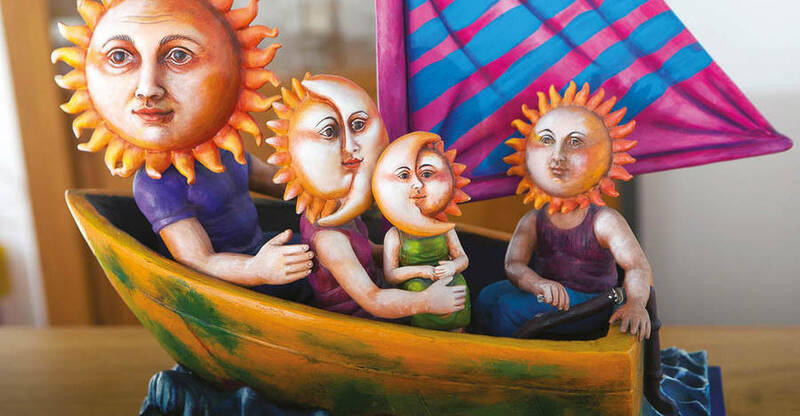 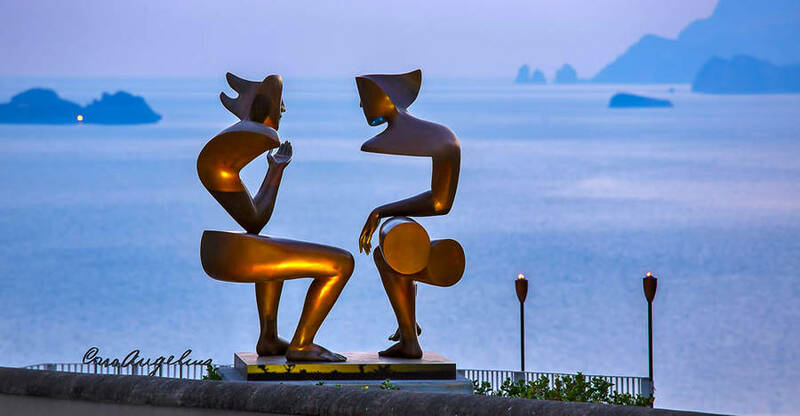 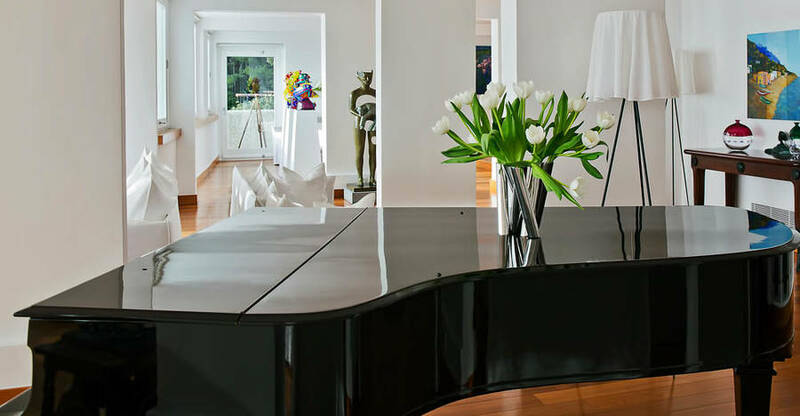 Casa Angelina's sleek, clean-lined living spaces provide the perfect setting for a fabulous collection of brightly colored Murano glass, sculptures and art works. 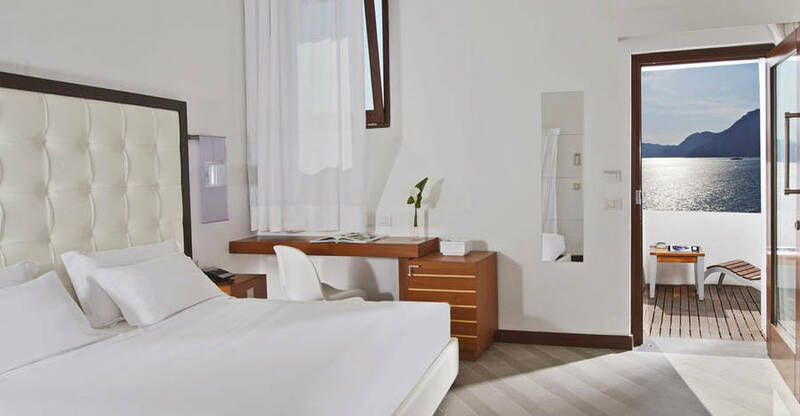 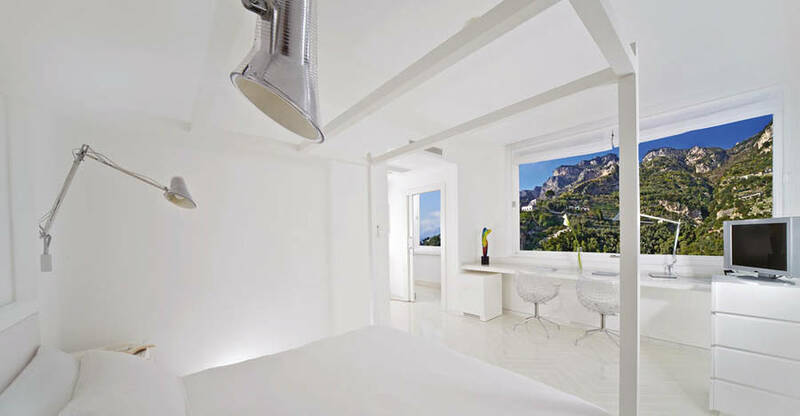 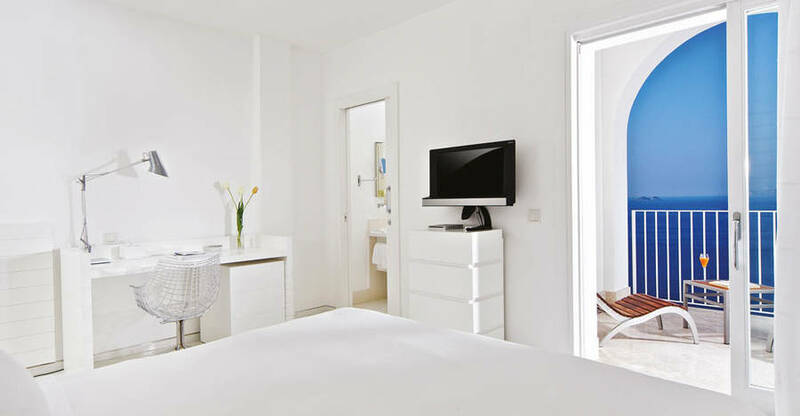 Like the public rooms, Casa Angelina's light-filled bedrooms are furnished in contemporary whites and equipped with the very latest in audio visual and communication technology. 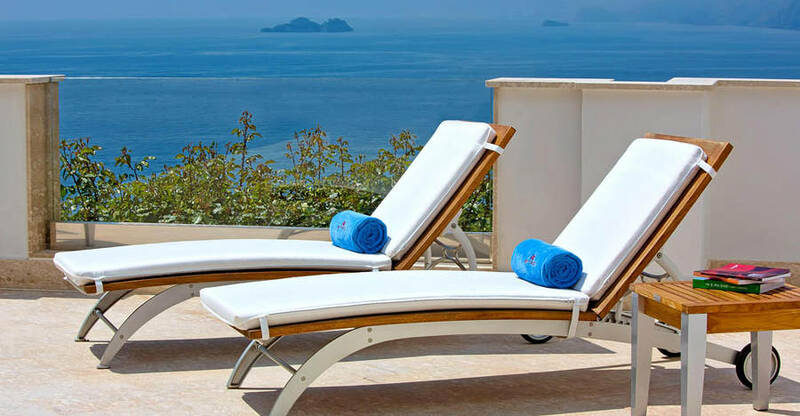 Looking for something extra luxurious? 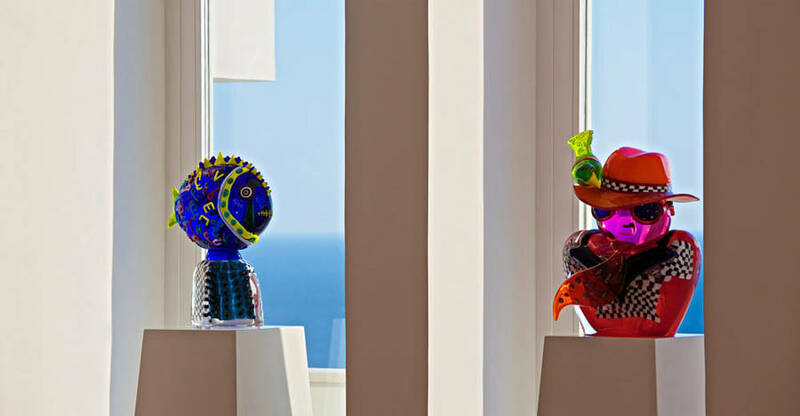 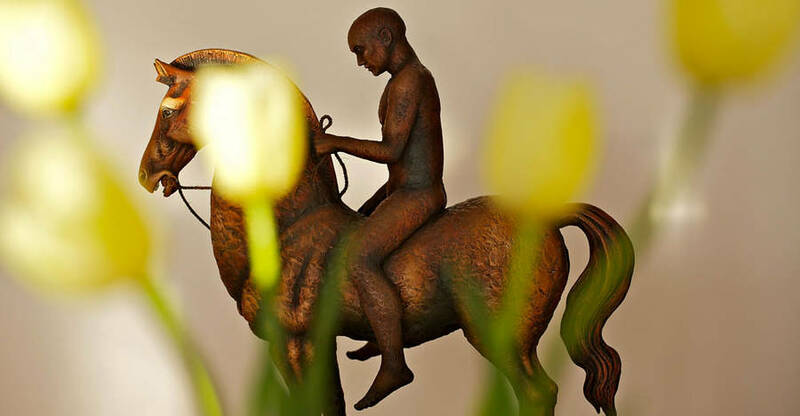 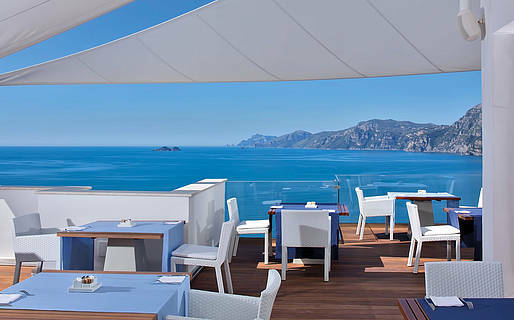 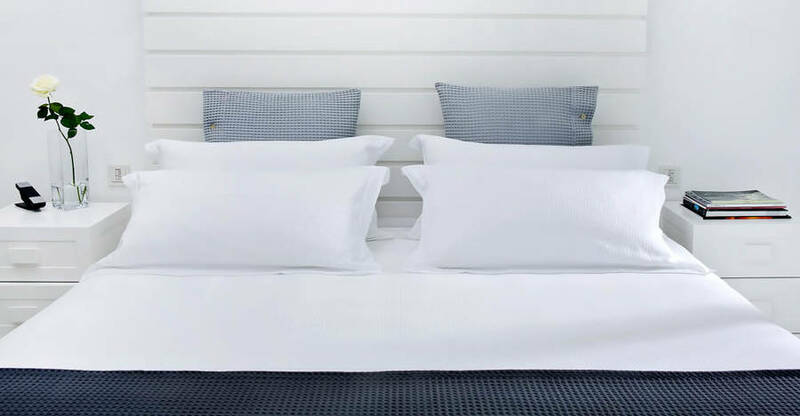 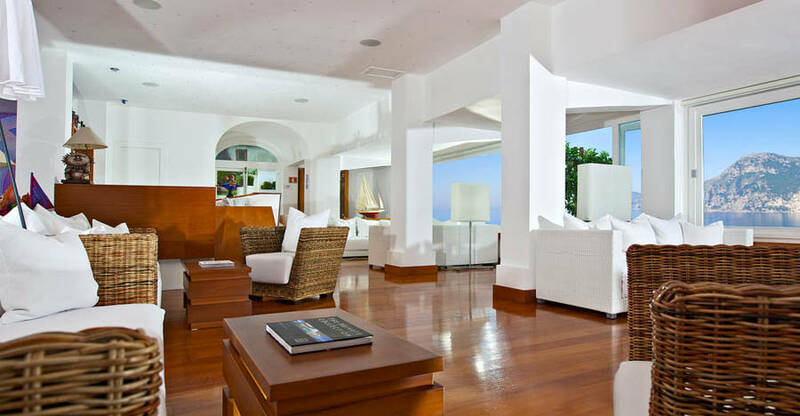 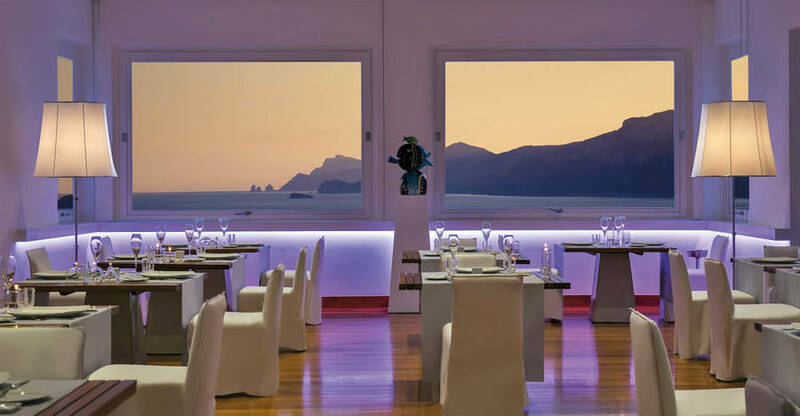 Try to book the hotel's Junior Suite with 30sqm sea view terrace - the most sought-after room in the house! 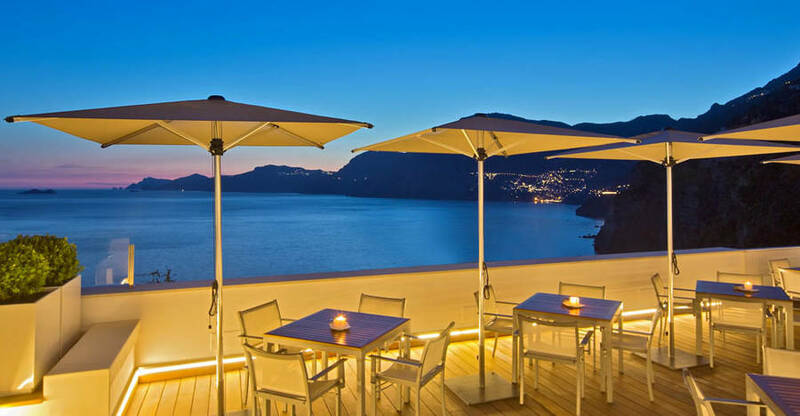 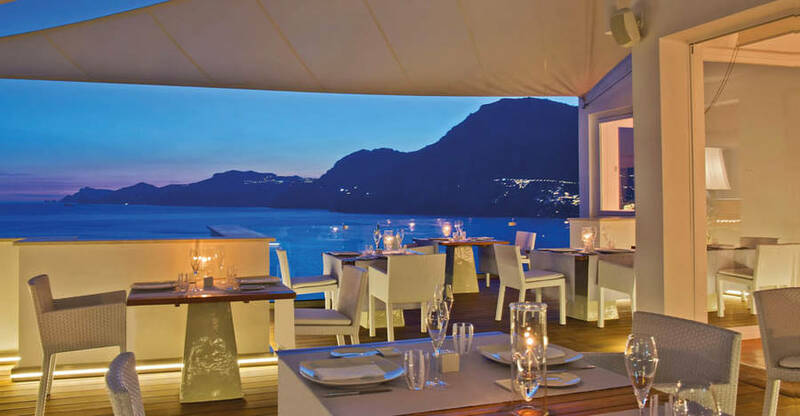 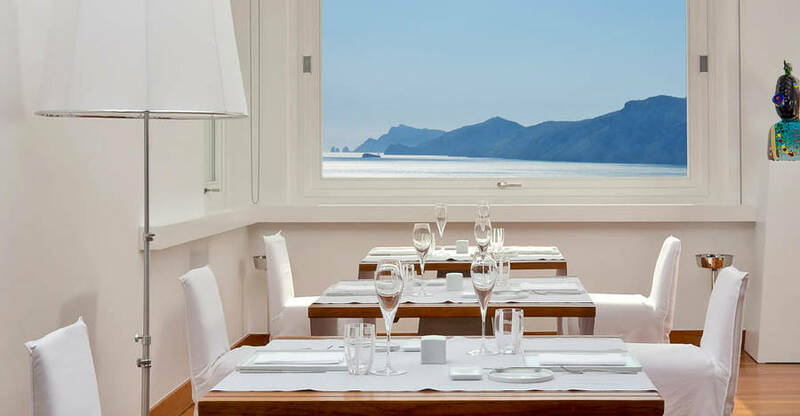 A favorite amongst both hotel guests and non residents alike, Casa Angelina's panoramic "Un Piano nel Cielo" restaurant overlooking the Bay of Salerno and the Island of Capri serves wonderfully light Mediterranean cuisine and exquisitely presented local delicacies, accompanied by a faultless wine list featuring all of the most prestigious Italian wines. 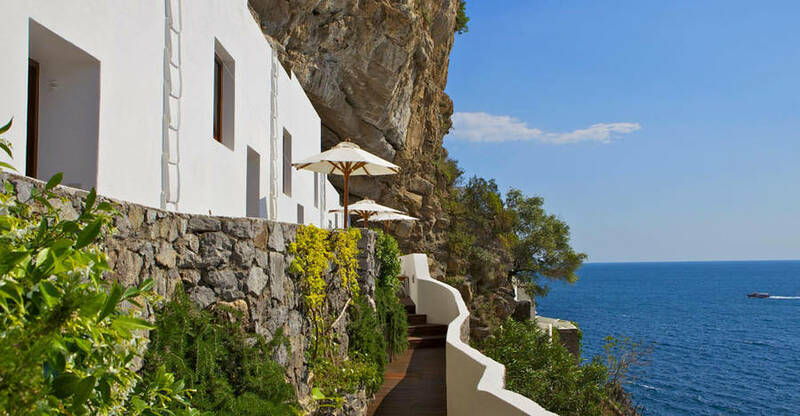 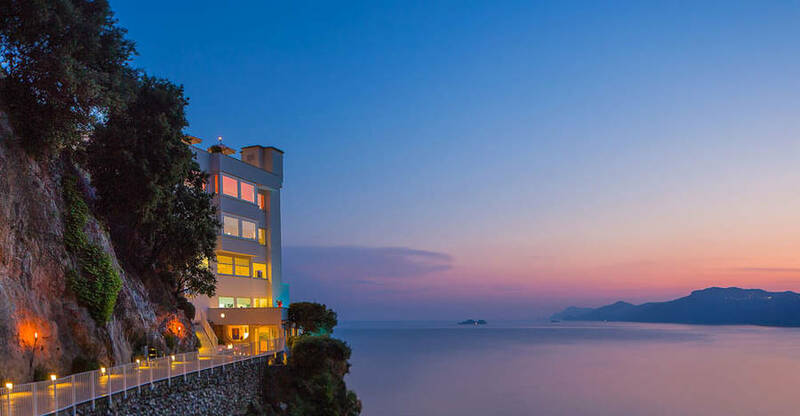 Although the hotel lies within easy reach of all of the Amalfi Coast's most beautiful towns and villages, don't be surprised if the only time you leave the hotel during your stay is when you take the glass elevator to reach Casa Angelina's beautiful private beach below!